In the classic 1996 disaster movie ‘Independence Day’, large UFO shaped clouds could be seen all over the world taking over the skies just before the alien ships would appear. 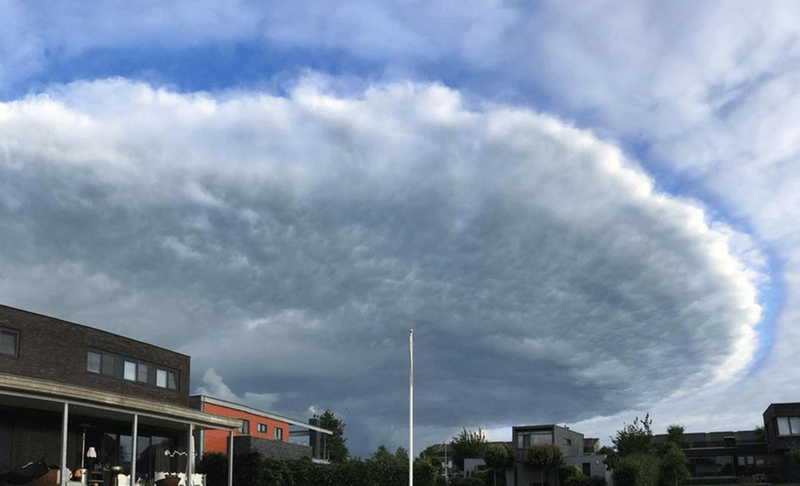 Local citizens in the northern Dutch province of Friesland must have thought their time was up when a similar looking cloud formed on Sunday evening. Many people took snapshots and posted the unusual event on social media. “Air can rise as long as the ambient air is colder, but if the ambient air becomes warmer than this will no longer work." So in the end, not a UFO, but a big cloud that wants to take off but can’t. The air, which cannot rise further because of the warm air layer, flows away horizontally and forms a circle. Because the air warms up a little during the sink, the cloud dissolves at the edges, resulting in the spectacular pancake shape.